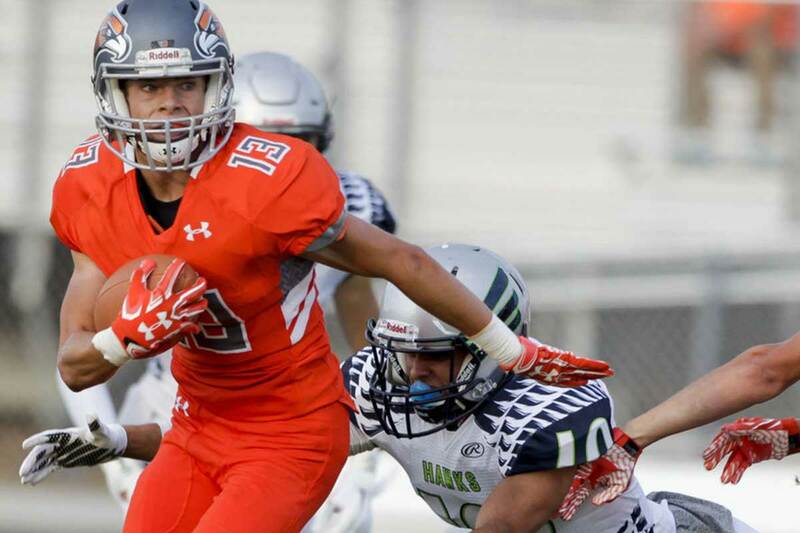 Alex Palmer—a 6-foot-0 180 pound running back, cornerback, and more—made a verbal commitment on Monday to play for the BYU Class of 2018. Palmer preps at Skyridge High School (Lehi, Utah), where as a senior he rushed 82 times for 873 yards (10.6 ypc) and nine touchdowns, with four runs of 90 yards or more. He also caught 10 passes for 227 yards (22.7 ypc) and four more scores. Throw in a few punt and kick returns and he had 1288 all-purpose yards. All that, and he only became the feature back in Week 6, missing the first four games with a hand injury. On defense Palmer had 14 tackles (11 solo), with .5 for loss, 22 passes defended, a blocked field goal, and three interceptions. He was named to the 5A first-team all-state. Palmer will join BYU as a preferred walk-on.